The U.S. Food and Drug Administration gets more control over the safety of prescription drugs used by millions of Americans under a bill President George W. Bush signed into law Thursday. At its core, the new law renews for five years programs to collect fees from drug and medical device manufacturers. This industry money accounts for about one-quarter of the agency's overall budget, which defrays the cost of reviewing products that need FDA approval. Members of Congress, acting in the aftermath of the withdrawal of the painkiller Vioxx three years ago, seized on the bipartisan legislation as a vehicle to reform the FDA's handling of drug safety. Vioxx, a hugely popular drug, was withdrawn after reports that related it to heart problems for patients using it. In part, the legislation shifts more of the FDA's attention from experimental drugs pending approval to those that already are on the market, and gives the agency more power to act when worrisome problems emerge. "It really represents an important addition to the FDA's authority," FDA commissioner Dr. Andrew von Eschenbach said. It gives the FDA the power both to require drug companies to study the safety of medicines further if needed and to mandate new label warnings, when problems appear. The FDA also gains the ability to punish companies with fines to ensure compliance with those two new authorities. The legislation further requires companies to release results of all clinical trials that show how well their approved drugs have performed. 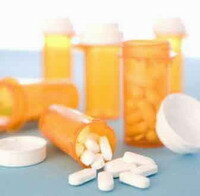 Yet-unapproved drugs later could be subject to the requirement. Still, how the Food and Drug Administration Amendments Act of 2007 will change the agency remained unclear, beyond the expected hiring of several hundred new employees. The FDA was reviewing the 156-page law and its roughly 200 specific provisions, many with timelines, before deciding how to implement them. The fine-print list of actions the FDA must take runs more than 10 pages, said Randall Lutter, the agency's deputy commissioner for policy. The FDA may have to draft new regulations or guidelines, which could take years, to implement some of the provisions, Lutter said. The legislation spells out that the FDA will be able to fine drug companies for not completing follow-up studies on their drugs after they have won government approval. Those studies frequently remain undone, often leaving important safety questions unanswered. The bill specifies that drug companies will pay $393 million (277 million EUR) and medical device makers $48 million (34 million EUR), in various fees next year. "The increased fees will allow the agency to expand drug safety monitoring, hire additional staff for post-market surveillance, and modernize its information technology systems," said Billy Tauzin, head of the Pharmaceutical Research and Manufacturers of America. It also requires the FDA to step up active surveillance for new safety issues with drugs. That system traditionally has been largely passive.